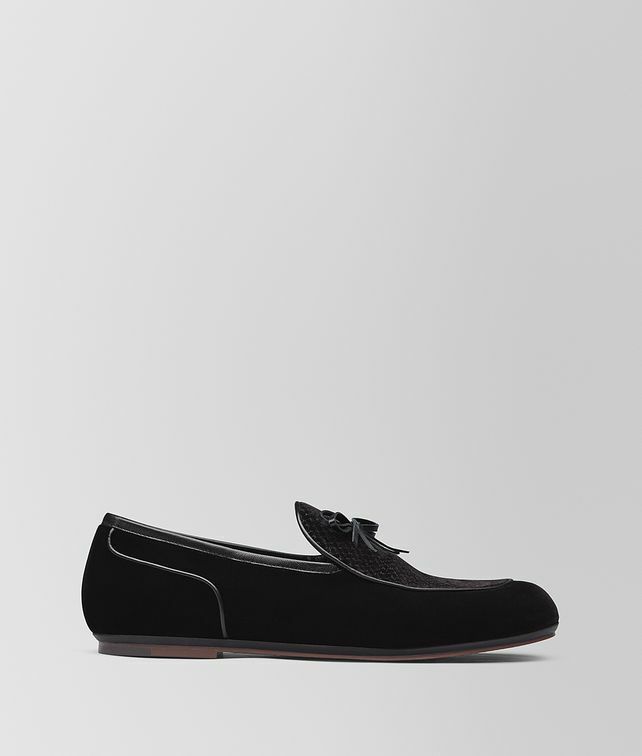 Inspired by indoor slippers from the 19th century, these loafers embody the season’s luxe loungewear sensibility. The loafers are made from velvet and the upper is discreetly embroidered with our microponza pattern, a micro take on the iconic intrecciato pattern. The cuoio sole is soft and flexible but suitable for outdoor wear. They make an ideal complement to any relaxed yet refined ensemble. Finished with a velvet lace and velvet piping.